What Happened To Coulson In Marvel's Agents Of S.H.I.E.L.D? Those who tuned into ABC tonight for Marvel's Agents of S.H.I.E.L.D. 's series premiere learned about a major twist. Agent Coulson is alive! Ok, maybe you didn't just learn that tonight, considering Clark Gregg's face has been all over the S.H.I.E.L.D. promotions. His return from the dead is one of the better known spoilers about Joss Whedon's new ABC series, which is set in the in the aftermath of the events that took place in The Avengers, in a world where people are now aware of superheroes existence. And it's at this point that you want to stop reading if you haven't seen Marvel's Agents of S.H.I.E.L.D. yet, as we're about to get into actual spoilers. So it's explained fairly early on in the episode that Coulson stopped breathing for about 8 seconds after Loki stabbed him in The Avengers and left him for dead. As Coulson tells it, he was staring at the bright light but he pulled through, and since death can be a real team builder, Nick Fury went ahead and kept the truth from The Avengers so they could assemble and save New York. It's an amusing explanation as it's pretty much the assumed reasoning behind Whedon killing Coulson off in The Avengers to begin with -- to give the heroes a more personal cause to rally behind -- so why not apply that reasoning to the fictional explanation? 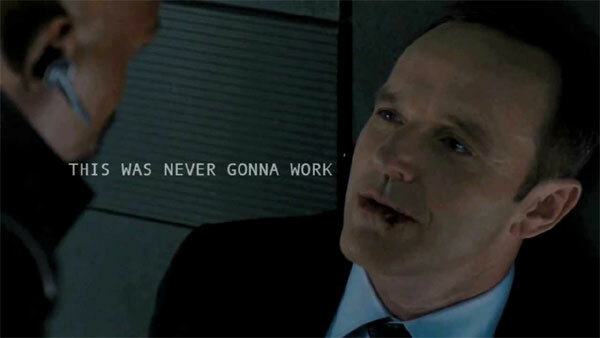 Now we know how Coulson lived. Or do we? Coulson goes on to explain that Nick sent him off to Tahiti to recover, sip Mai Tais, read Travis McGee novels and enjoy the company of a physical therapist with an irrelevant lack of English-speaking ability. Sounds like heaven, right? He seems to think so, as he told Maria Hill, "You should go some time. Tahiti. It's a magical place." 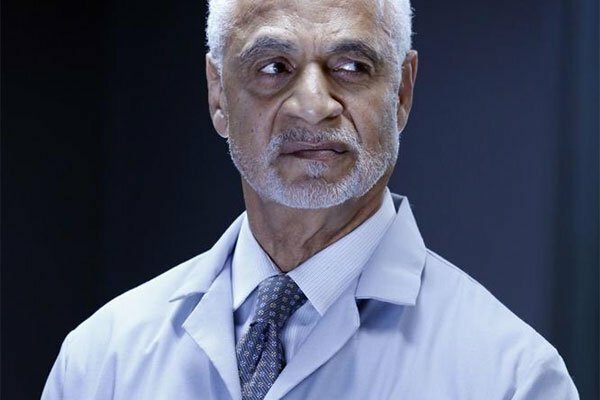 When he walks away, Ron Glass' Dr. Streiten quietly says, "Tahiti. He really doesn't know, does he?" To which Hill responds, "He can never know." It was probably a mistake to assume Coulson would simply be brought back to life soap-opera-style with a throw-away explanation about being revived. But it now leaves us to wonder what the backstory is there and how long we'll have to wait for it to be revealed. Is the word "magical" a clue? Was some kind of magic used to revive Coulson? Or was it "like magic, but it's science..." as Fitz put it later when admiring some fancy technology. And was his perceived recuperation time in Tahiti all in his head? Perhaps some kind of charm or programming to make him think he was some kind of paradise waiting for his body to heal. Am I over-thinking this? Whether it's a big reveal or some minor backstory that will be addressed later remains to be seen, but anything is possible here, and that's kind of the beauty of Agents of S.H.I.E.L.D. to begin with, as the series has the full well of the Marvel universe to dip into for stories. Coulson's recovery could be tied to some other superhero's abilities in the Marvel-verse. Perhaps some yet-to-be-introduced character. Or maybe an introduced one we have more to learn about. Or it could be that there's more to who or what Coulson is to be discovered. What do you think is the explanation behind Coulson's miraculous recovery from death? Life Model Decoy seems to be a popular guess among Marvel fans. In Marvel comics lore an LMD is an android which takes the form of a living person, thus making a robot recreation of that person. The owner usually controls it, seeing and speaking through it. But if this Coulson is an LMD and the real Coulson died in The Avengers, clearly something else is going on here in Agents of S.H.I.E.L.D..
Do you agree with this theory? Let us know what you think happened to Agent Coulson in the comments below.